Hi there, so you forgot Windows 7 password, and now you are wondering how to unlock your computer? You are in the right place, and to comfort you up a little bit, you are not unique on this matter. There are a lot of people that for some reason forget the login password on their computers, and most of the time the answer they find all over the Internet is to reformat the hard drive, and reinstall Windows. This is not the answer you will get here, I will share my own 3 ways to help you unlock the computer when you forgot Windows 7 password. let’s proceed. A password reset disk could really come in handy if you ever forgot Windows 7 password. The problem with this method is that you have to create the password reset disk before the password is lost. Assuming that you have created it in advance, then you can use this method to reset Windows 7 password easily. 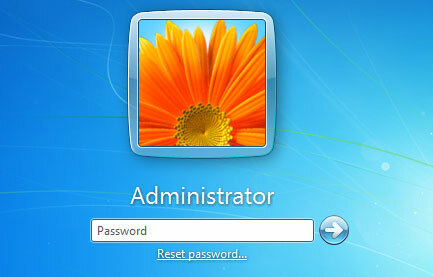 Once you've typed the wrong password, Windows 7 will show a Reset password link below the login box. Type lusrmgr.msc in the Start search box and hit Enter to pop up the Local Users and Groups window. 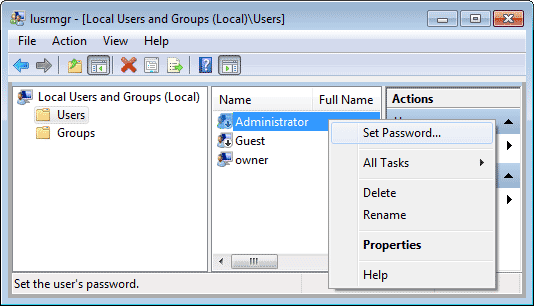 Expand Users folder to display all the user accounts in the Windows 7 machine. Right-click the account whose password you forgot and select Set Password. Click Proceed to go on your operation. Type and confirm your new password and click Ok. 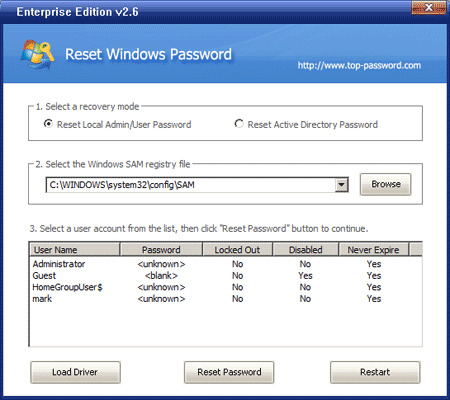 Method 3: Reset Windows 7 Password by Third-party Software Download the self-extracting Zip file of Reset Windows Password package. Uncompress the package, there is a ISO image: ResetWindowsPwd.iso. Burn it onto a CD/DVD or USB flash drive. Boot your locked computer from the newly burned CD/DVD or USB flash drive. Wait until the boot process is finished. When a window pops up with all your Windows accounts, select the target one to remove your forgotten password. Re-installing Windows 7 is always an option, but we consider that a last resort. Installation will help you remove forgotten Windows password, but also erase your important data on computer. So don't try this method unless you don't have other solutions.